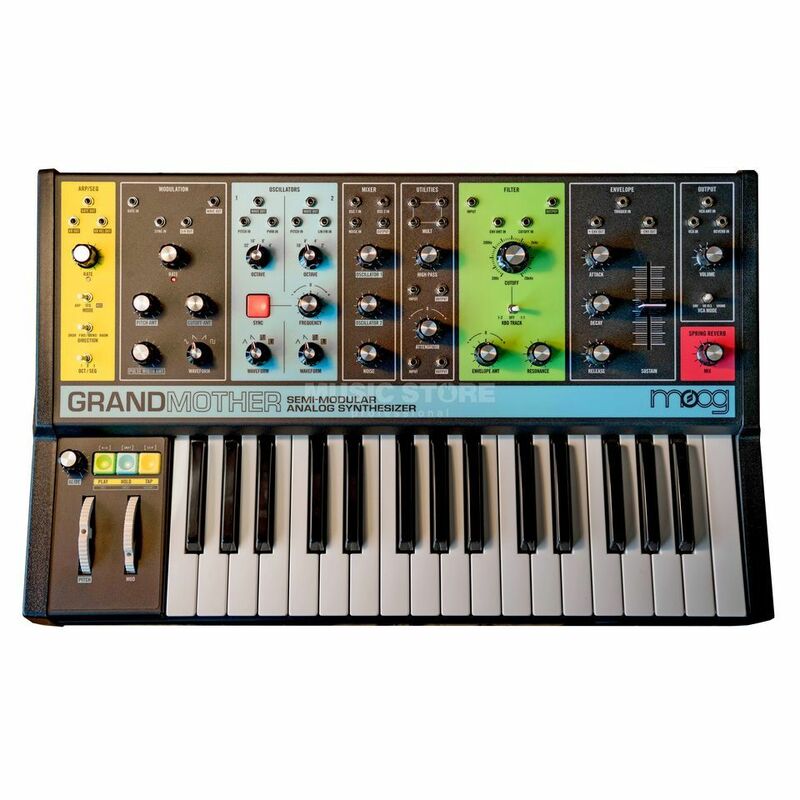 The Moog Grandmother is a semi-modular analogue synthesizer, inspired by the great modular synthesizers of the past. The sound engine, modulation engine and on-board spring reverb tank are entirely analogue in nature, and Grandmother also features an easy to use arpeggiator and sequencer. One of the strongest aspects of Grandmother is her accessibility - whilst capable of highly complex sounds, the semi-modular design requires no knowledge of patching, meaning musicians of any skill-level can begin producing meaningful analogue synthesis. Aside from its main application, Grandmother can also perform in the role of an analogue audio processor for external sound sources, as well as powerful keyboard front end for expanding a Mother-32, DFAM or Eurorack modular system.